Graham Smith’s SNATCHED FROM HOME is a searing thriller that plunges straight to the heart of fear—leaving you to ponder the terrifying question: What would you do to save your children? Nicholas and Victoria Foulkes’ children are kidnapped to force repayment of a gambling debt, but when the couple are unable to raise the ransom money in time, they turn to crime. The stakes are raised when their crime spree catches the attention of Harry Evans, a childless and recently bereaved detective trying to dodge enforced retirement. Smith writes tough-as-nails prose and delivers a page-turner that will leave you high on adrenaline. Graham took some time this month to answer a couple of key questions about what inspired his latest release, and the motivating factors behind his protagonist Harry Evans and the family that opens old wounds. 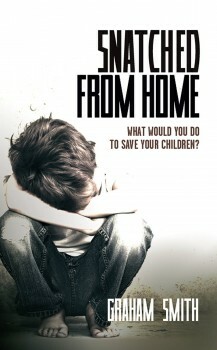 How well does childless Harry Evans understand the plight of the central characters in SNATCHED FROM HOME? I think he fully understands their desire to save their children. Being the swine I am, I have him mourning the loss of his own wife and unborn child. This gives him the perspective needed to put himself in their shoes. Also, he believes (wrongly) he could have done things differently and saved them. To what extent do you think threats to the family are key areas of dramatic tension in thrillers? They are firmly rooted in the heart of dramatic tension. Threats to family create tension immediately, because every reader will carry the secret fear that it could be their loved ones. By replicating these dynamics, writers tap into those fears, thus hooking their readers. Let’s be honest, we all care for some people more than others. I start SNATCHED FROM HOME with kidnappers invading a family house and leaving with two children. Of course their parents are going to move heaven and earth to rescue their kids. Who wouldn’t? How criminalized do your characters become? As much as is necessary and more than they should is the simple answer. Victoria and Nicholas don’t cross into a world of violence or anything high enough up the criminal scale to be considered gangsters. They do, however, break several laws, which previously they would never have done. I guess the old saying “desperate times call for desperate measures” fits their situation. Is redemption important to you as a writer? Redemption is very important, just so long as it isn’t trite or too neatly wrapped up. I feel the door should always be open, but the characters should choose the path to redemption rather than having it thrust upon them by a writer trying to please readers. There is a certain amount in SNATCHED FROM HOME, but I do also try and show certain characters that their actions have unimaginable consequences. I’d like to think there may be some for Nicholas, whose actions created the whole mess, but I’m not sure he has the necessary moral fibre to change his ways and earn redemption. Graham Smith is married with a young son. A time served joiner he has built bridges, houses, dug drains and slated roofs to make ends meet. For the last fourteen years he has been manager of a busy hotel and wedding venue near Gretna Green, Scotland. An avid fan of crime fiction since being given one of Enid Blyton’s Famous Five books at the age of eight, he has also been a regular reviewer and interviewer for the well-respected website Crimesquad.com for over five years. 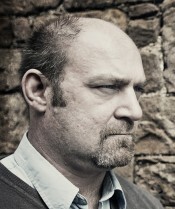 To learn more about Graham, please visit his website.